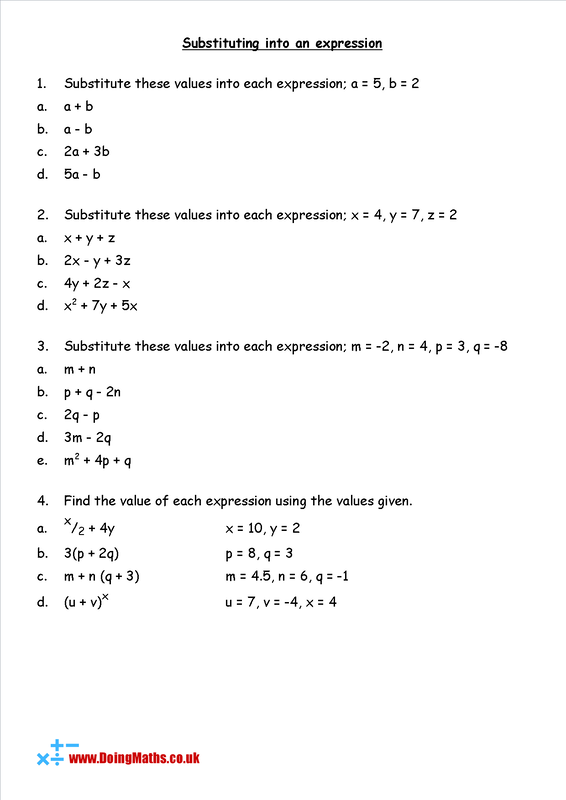 Here we have free maths worksheets relating to substituting into algebraic expressions. Click on pictures to see larger versions. A worksheet for practising substituting numbers into an algebraic expression. This worksheet also features negative numbers, brackets and powers. 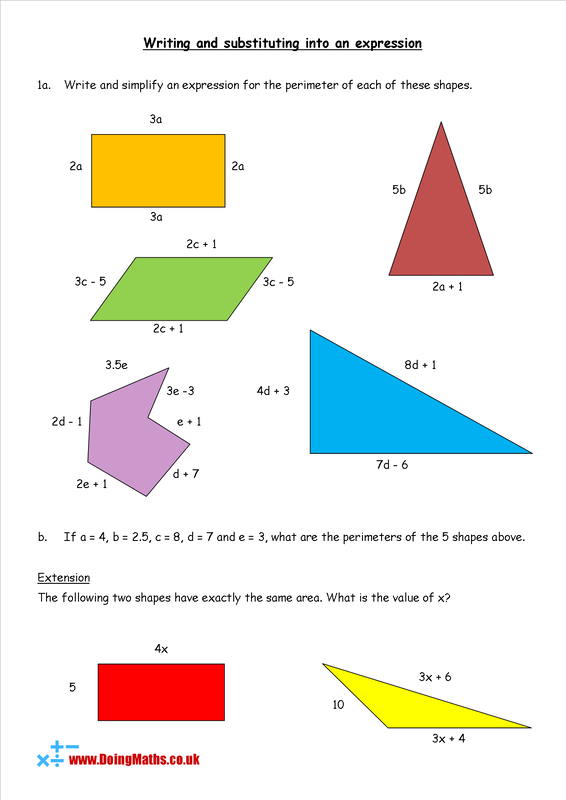 A worksheet for pupils to practise creating an algebraic expression and then substituting into it. Can be used as a standalone worksheet or as an extension task for the worksheet above.